Soft and fluffy sticky buns with a raspberry-lemon filling, topped off with a sweet lemon glaze. Have you seen Battleship? It’s one of those movies I don’t remember ever seeing advertised, but definitely worth a watch if you like action or were ever into the Transformer movies. It’s basically a cross between both of those, but with the Navy. We weren’t really expecting to fully enjoy it, but we did. Never a boring moment! On the other hand, there’s Bloodline. We’re halfway through the season, but it’s slow and a bit weird. We figured we’d give it a chance and honestly, I’m still not sure if I like it or not. I don’t hate it, so I guess that’s a good thing. But, if you’re expecting the same Kyle Chandler from FNL, this isn’t the show for you. It’s dark, twisted and full of secrets. I’m super excited to see Pitch Perfect 2 and Woman in Gold. Two, very obviously, totally different movies, but I love Anna Kendrick and Helen Mirren. I feel like neither of them can do wrong when it comes to acting. I actually put off watching the first Pitch Perfect for the longest time, only finally seeing it a few months ago. I figured it was going to be super cheesy, and while it kind of was, the singing was fun and entertaining. Lemons and raspberries… they go hand in hand! A perfect match! Sweet, tart, bold and colorful… and seasonal! 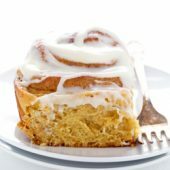 I’ve always been a huge sticky bun fan. There’s just something extra special about freshly made cinnamon rolls or sticky buns, even better when they’re made from scratch! That extra time and love that’s gone into them always shows! 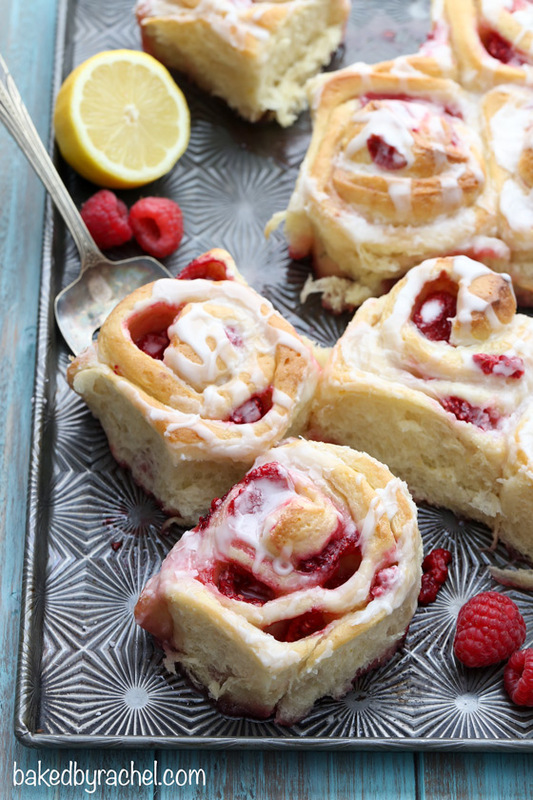 I put a twist on my favorite breakfast rolls, making them even fluffier and adding a fun raspberry-lemon filling. Seriously good! 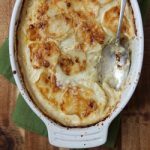 A perfect breakfast or brunch recipe for Spring! 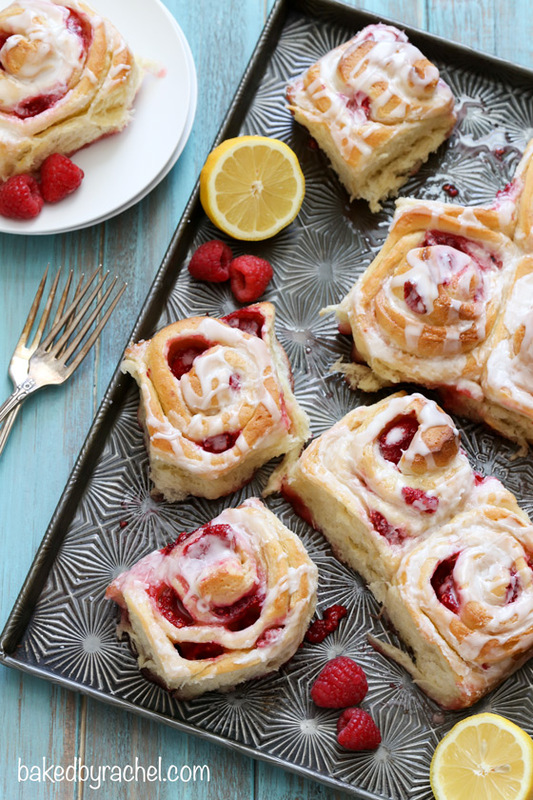 Giant fluffy sticky buns with a raspberry-lemon filling, topped off with a sweet lemon glaze. A must make for all of your Spring celebrations. 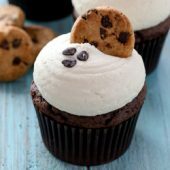 With Mother’s day right around the corner, these should definitely be on the menu! In a class measuring cup, heat milk to 115°F. 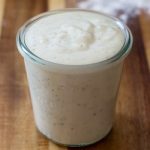 Dissolve yeast and sugar in warm milk. Allow to proof for 5 minutes. Meanwhile, prepare stand mixer with dough hook attachment. Combine flour, salt, sugar and zest in the bowl of a stand mixer. With mixer running on low, slowly add in yeast mixture, followed by lemon juice and butter. Finally, add one egg at a time. Continue mixing until dough pulls together. Knead by hand if necessary. Transfer to a lightly greased large bowl. Cover and allow to rise for 1 hour, or until doubled in size. In a small bowl, combine sugar with lemon zest. Toss to disperse zest. Prepare work surface with large silicone counter mat, or desired non-stick surface. Roll out dough to a 10x20-inch rectangle. Brush entire surface with melted butter, leaving a 1/2-inch border. Spread sugar mixture over dough. Scatter fresh berries, pressing gently into dough. Drizzle with remaining butter. Prepare a 9x13-inch baking pan with parchment, leaving enough overhang to grab later. Lightly grease parchment paper and exposed pan sides with baking spray. Starting at one of the shorter ends, tightly roll dough , pinching ends and edges together well. Carefully slice rolled dough into 12 equal pieces. Place in prepared pan. Cover and allow to rise for 1 hour, or until doubled in size. Preheat oven to 350°F. Bake for 35-40 minutes, or until centers reach 200°F. 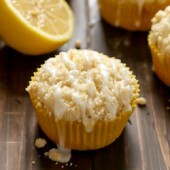 *For glaze: Lemon juice and water can be easily adjusted to suit individual taste preferences. Start with a small amount of lemon juice and add additional as desired. 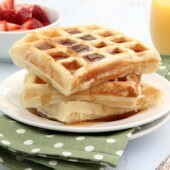 You definitely need these for your birthday breakfast! I’ll have to check that show out. I’ve never heard of it before! Oh man, I’m so behind on movies. I’m excited for Pitch Perfect 2. And still need to get to the second Divergent film. Love these sticky buns and all the spring flavors! I put off seeing pitch perfect for ages too, thinking it would be lame, and then loved it even if it was cheesy! The singing was so good! I’m looking forward to seeing the next one. These sticky buns look fantastic. 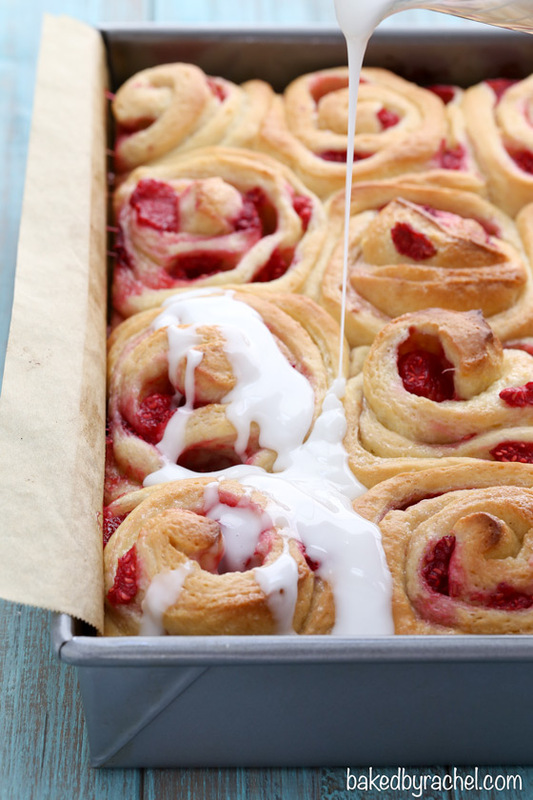 I made raspberry sticky buns for Easter brunch, but no lemon. 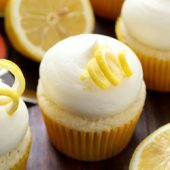 Love the lemon in these, I’m totally doing that next time! 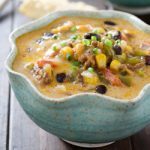 Hi Rachel, great looking recipe. I’m quite new to sticky buns and was wondering if I could make these without a stand mixer? On good Friday I made my very first batch of hot cross buns (at my daughters request) and was amazed how well they turned out, the sticky buns are a very similar enriched dough so I thought it could all be made by hand as well. Um, YUM. This looks so amazing, Rachel! 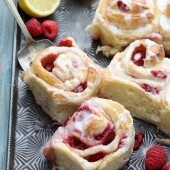 I adore raspberry + lemon together and these rolls must happen in my kitchen soon! Yum! I can practically taste the tart sweetness of these. Those colors are gorgeous! Thanks for the recipe. Oh wow, what a perfect combination in a sticky bun! 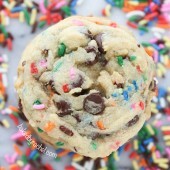 I would definitely devour a ton of these!!! Eek, lemon and raspberry is such a great Spring combo!! Want these fluffy sticky buns now! These are just gorgeous, love the raspberry lemon combo! I love pretty much anything to do with raspberries. The sticky buns look really good. I wish I could just reach into the screen and eat them!